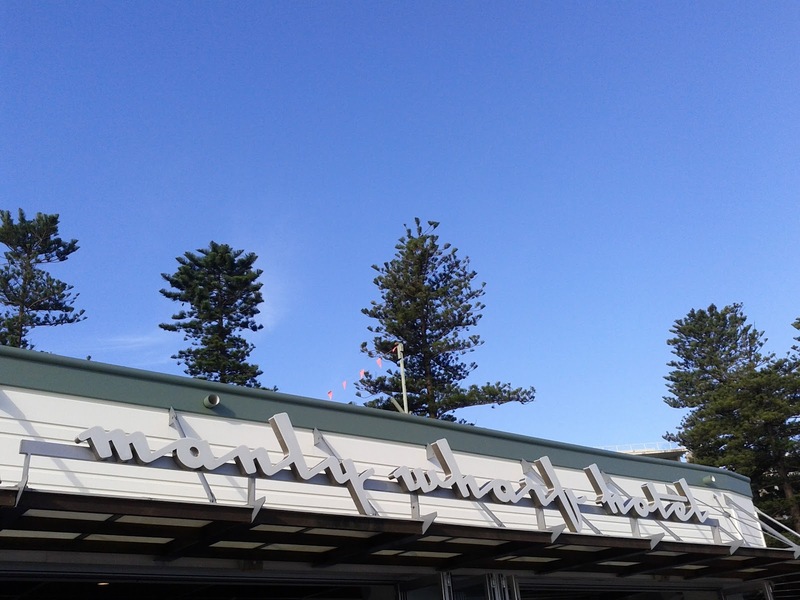 The Manly Wharf Hotel is situated meters away from the ferry terminal on the harbour side of Manly. We visited on a sunny spring Monday lunchtime, and while it was fairly busy, there were still plenty of tables available. We got a table inside with a view across the deck to the harbour. The salt and pepper calamari was fine but a bit bland. I had the fish and chips, which were the Monday special, $16 with a drink... The batter was crisp and the fish moist and flavoursome, the chips were good too. The chilli prawn and salmon fettuccine with cherry tomatoes, mint, parmesan and lemon, had nearly tempted me and certainly looked good and substantial when I collected the meals. It was too much for Annabel to finish, but she seemed to enjoy what she did eat. The service was pretty efficient and friendly for a larger establishment, and with its spectacular location it is understandable that it is popular, the meals are good value and I'd happily go back if I was in the area.